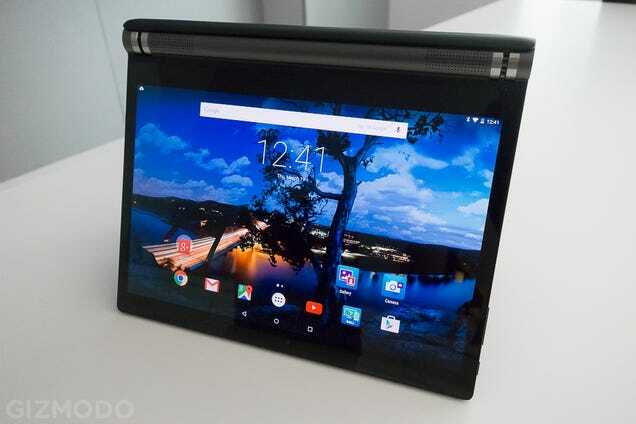 Last September, Dell quietly announced one of the most exciting and horribly named Android tablets ever made—the Venue 8 7000. Now, that awesome slate is getting a big brother. 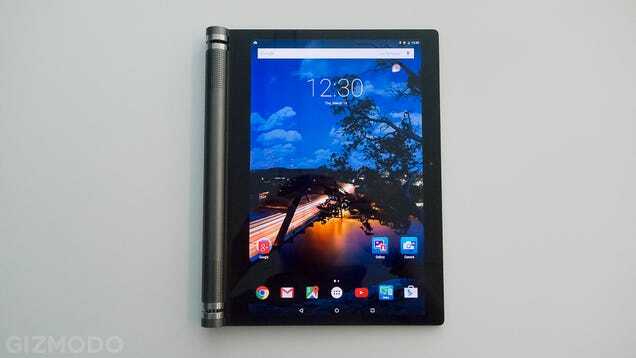 The Dell Venue 10 7000 (still a dumb name) is a $500 (£338 converted, UK price TBC) 10.5-inch tab running Android Lollipop. It’s sleek and slim and black, just like its predecessor. 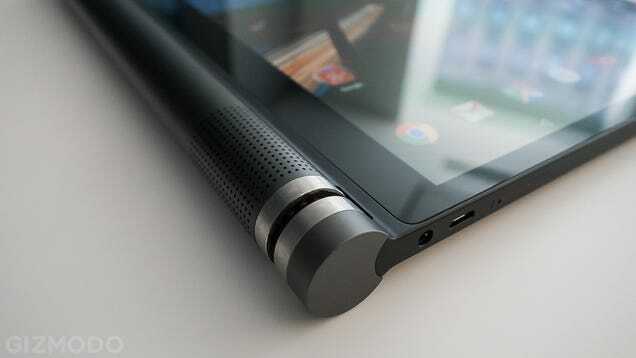 It houses the same Intel Atom processor, the same 2GB of RAM, and a similarly gorgeous 2560 x 1600 OLED display. It is released in the US and China later this month, with eventual roll-out to other markets like Australia and the UK in future. 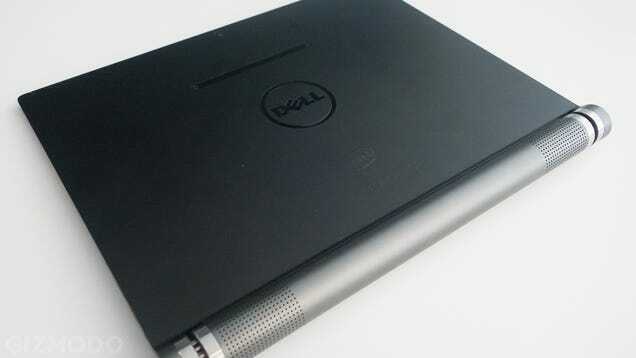 By all counts, it’s just a super-sized version of Dell’s latest and greatest—except for one important detail. See this speaker-laden knob? The one that sticks out like a sore thumb? It’s the key to what the new Venue 10 is really for: getting work done. It’s packed with a 7,000 mAh battery for an estimated 7 hours of juice, dual MaxxAudio speakers, and a pair of latches like you’ve never seen before; latches that let you attach an optional $130 (£88) keyboard to transform this slab of a device into a Optimus Prime-like 5-in-1. And trust me, you’re really going to want a keyboard. For one, the knob is the only way to really hold this thing. (Anything else is awkward because of the added weight.) But you’ll also want the keyboard because it’s really nice, like “better than the Surface Pro 3” levels of terrific. The keys are clicky and backlit, the latches are easy to connect and disconnect, and the keyboard dock never obscures the speakers in any mode. The only thing I can really knock about the keyboard, so far, is how the palm of my hand sometimes hit the trackpad and sent my cursor flying. Maybe I type badly or something. 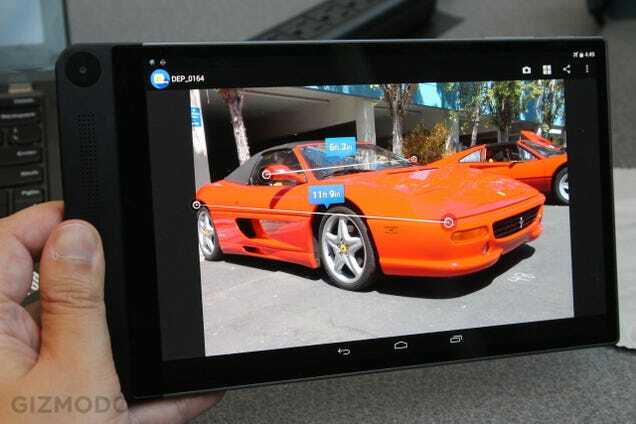 Just don’t expect them to be particularly good pictures: the original tablet’s RealSense cameras didn’t exactly take stellar photos. 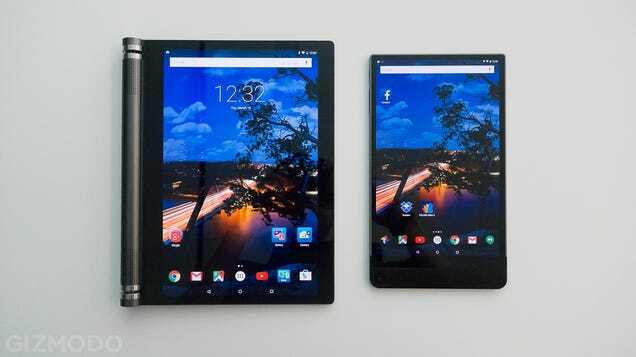 Dell keeps things simple on the OS front, running a near-stock Android Lollipop with only a few apps to make use of Dell’s cameras and other services like Dell Cast, which lets you mirror your tablet screen to a TV if you’ve also got a Miracast dongle lying around. But is Android what you need in a work computer? That’s what you have to ask yourself. 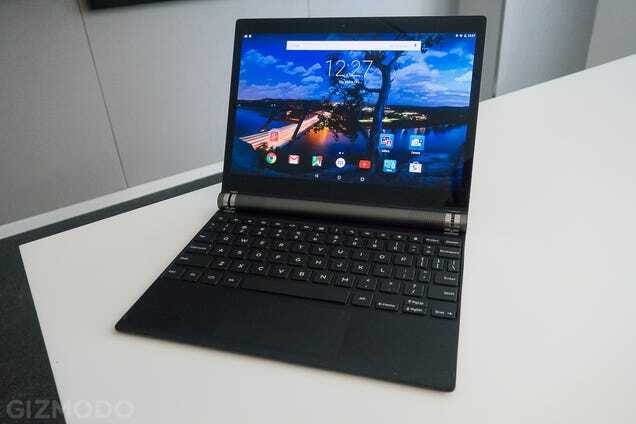 Don’t get me wrong, I love Android Lollipop as much as the next person, but even if this thing is equipped with the office-friendly Android for Work, with enterprise-level security and work-specific apps and so on, we’re still talking $630 (£426) for a machine that only runs Android apps, when there are plenty of other options now. So yeah, I’ve got my doubts about whether this tablet makes sense to own as a work-focused machine. It’ll take some testing to find out. But there’s no question that it looks pretty damn nice. More kudos for Dell.